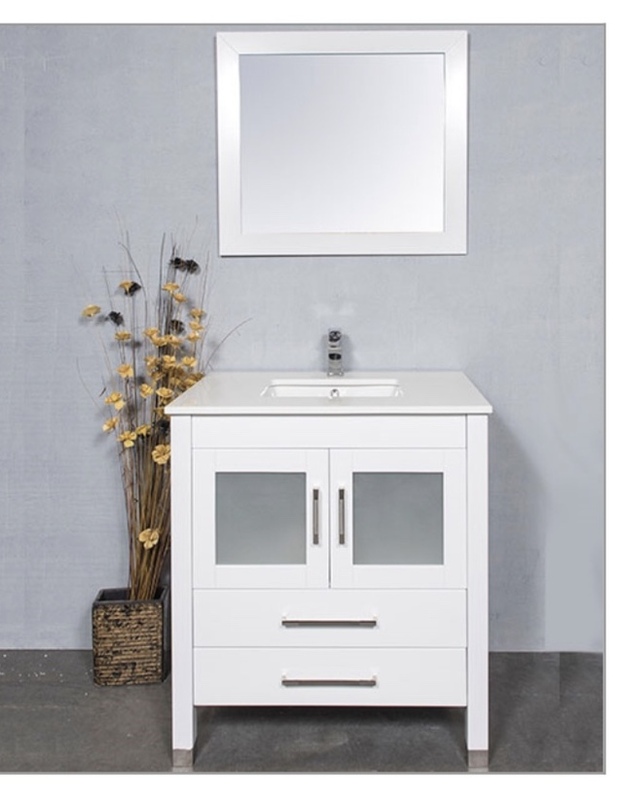 Brand new high quality white vanity 31.5". Comes with hardware, faucet and drain, and mirror. High quality vanity, just ordered the wrong colour. Paid $1000 with shipping, and asking the same price. It's a good deal for what you get.